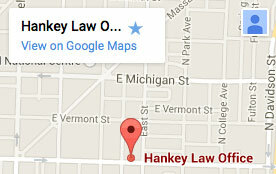 Hankey Law Office > Blog > Indiana Long Term Disability Attorney > How long does long-term diability coverage last? How long does long-term diability coverage last? When individuals sign up for long-term disability coverage plans, they should be aware of how long the coverage will last. The length of coverage often varies from one year to the age of retirement and beyond. The length of coverage is often detailed in the paperwork provided by the insurance company. Because these details are often voluminous, many individuals seek the assistance of an attorney for understanding the paperwork. If you or anyone you know has questions about a long-term disability claim, contact the Indiana long-term disability lawyers of the Hankey Law Office, at (800) 520-3633.